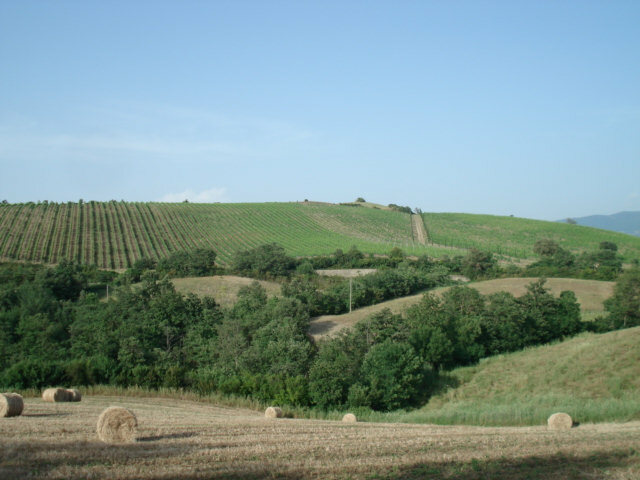 All the vineyards of the property lie within a zone of controlled and guaranteed origin, and are registered to the DOCG. MONTECUCCO record of the municipality of Cinigiano, part of the Grosseto province in Tuscany, Italy. 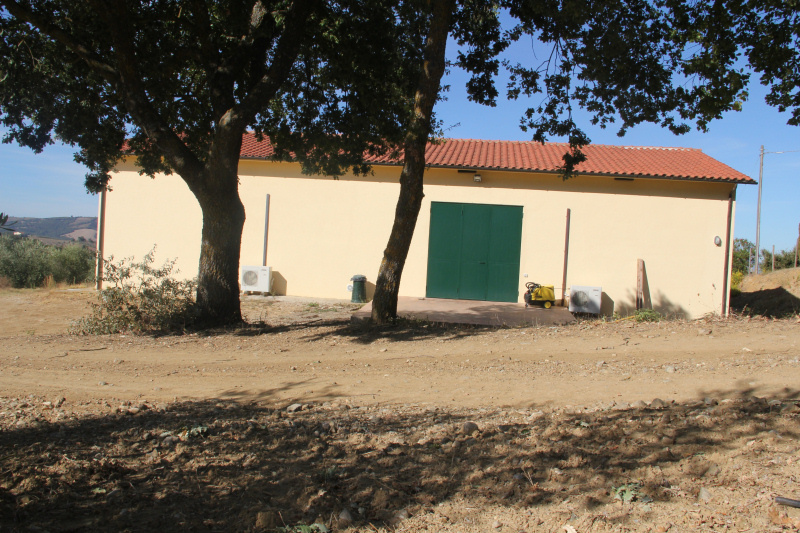 The plantation of the vineyards begun on 1999 and the variety of the plants is SANGIOVESE GROSSO at a 100% quantity. The layout of the implantation is 2.8m between the rows and 0.85m between each plant. 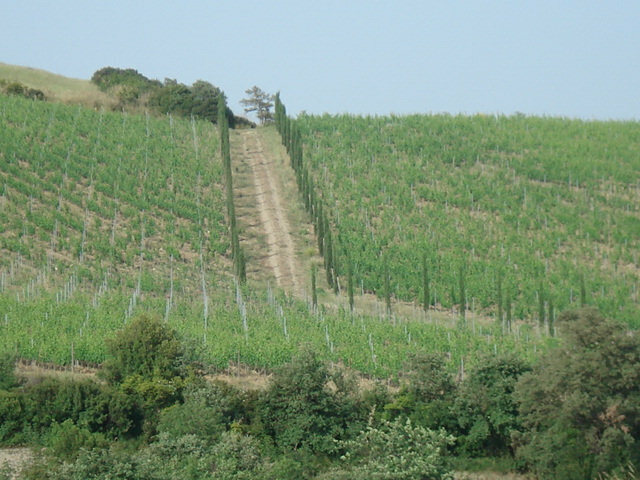 The average attitude is 300m above sea level and the cultivation pattern of each vine is traditional “a cordone speronato”. The sunlight exposure is southwest/west and the soil consists mostly of stone and an argil (clay) basis. 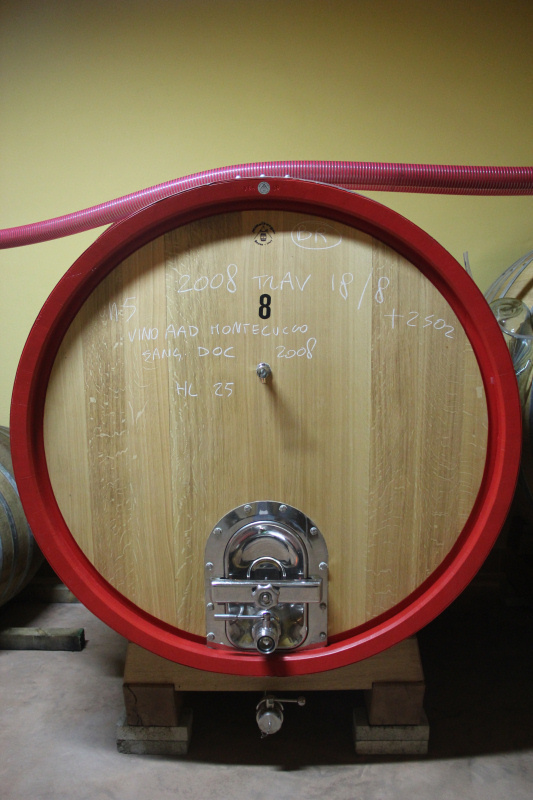 Despite the fact the vineyards are registered to the DOCG. 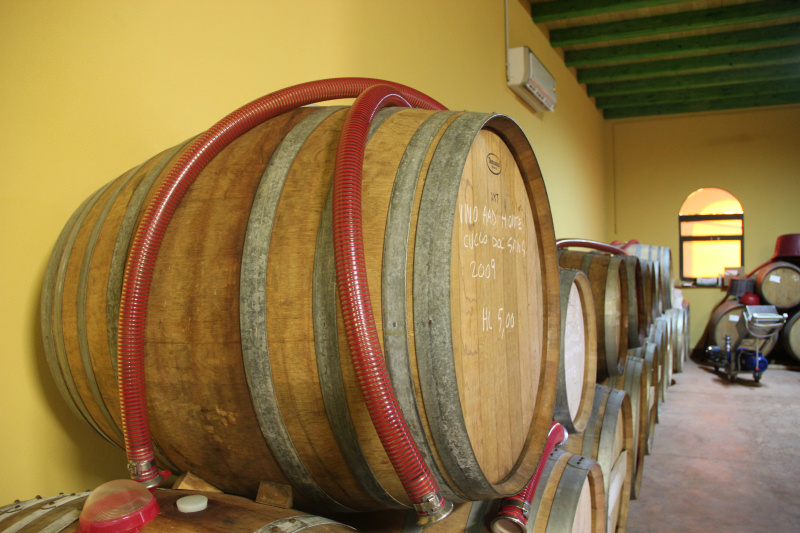 MONTECUCCO SANGIOVESE record, the wine production itself is not labeled as DOCG. MONTECUCCO but instead as IGT (geographical typical denotation). 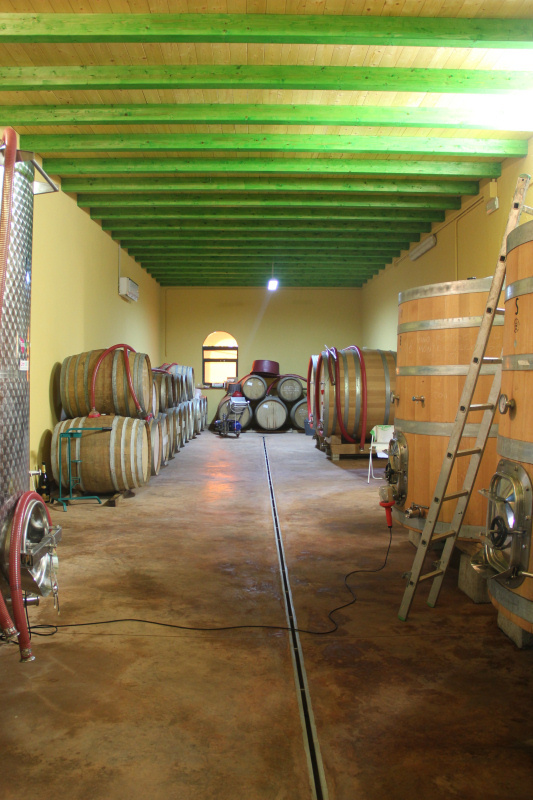 The reason behind this distinguishment is that the SGA wine differs from the typical DOCG. 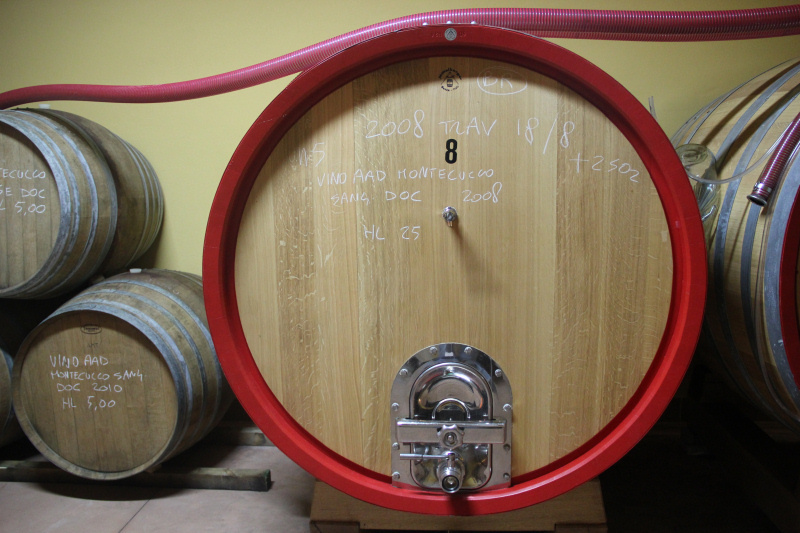 MONTECUCCO wines in two ways; on the one hand, the SGA wine ages an additional year, while on the other hand, it consists solely of SANGIOVESE without the addition of other varieties. 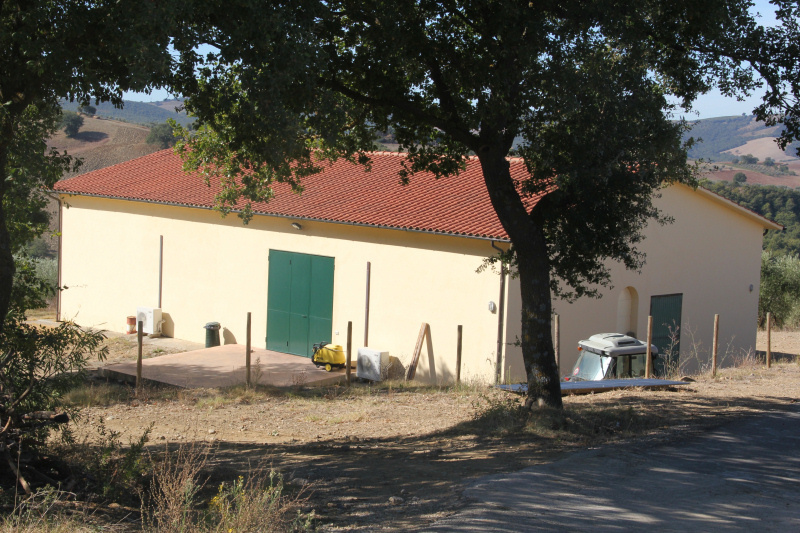 The collection procedure is carried out manually and the grapes are transferred from the vineyards to the winemakery placed in small plastic baskets, thus, avoiding denaturation. 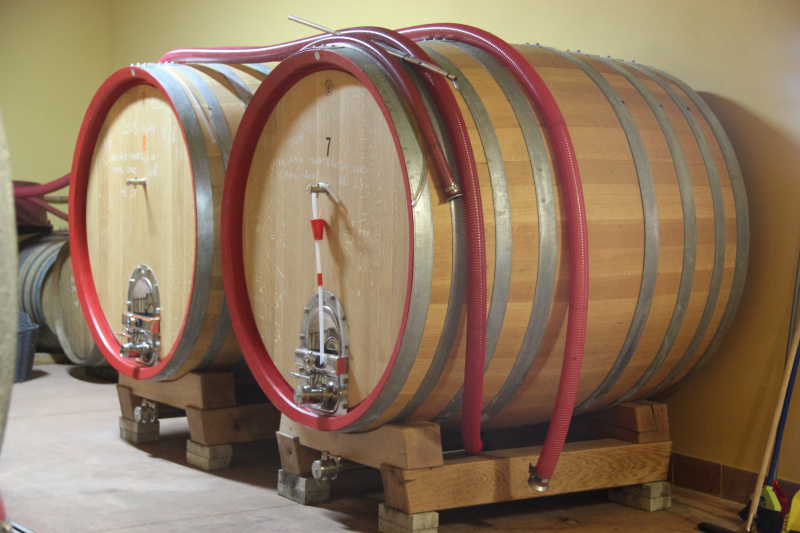 The fermentation takes place in both inoxidizable tanks and wooden coneshaped barrels. The whole fermentation process is conducted “spontaneously” by using indigenous enzymes (without the addition of chosen enzyme starters). 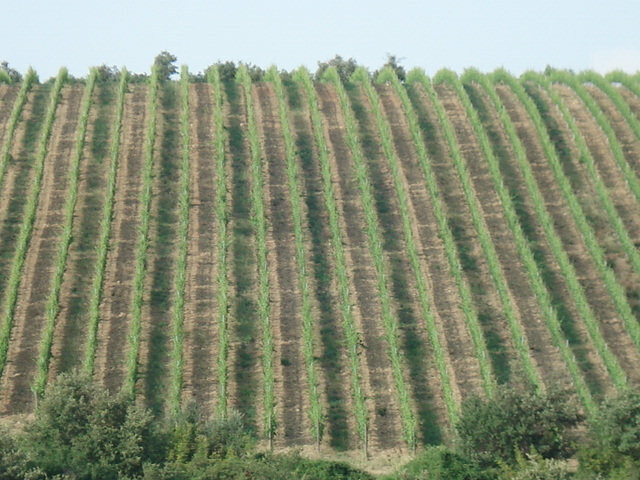 In that way, the end-product fully reflects the potential of the vineyard’s terroir in its typicality and uniqueness. 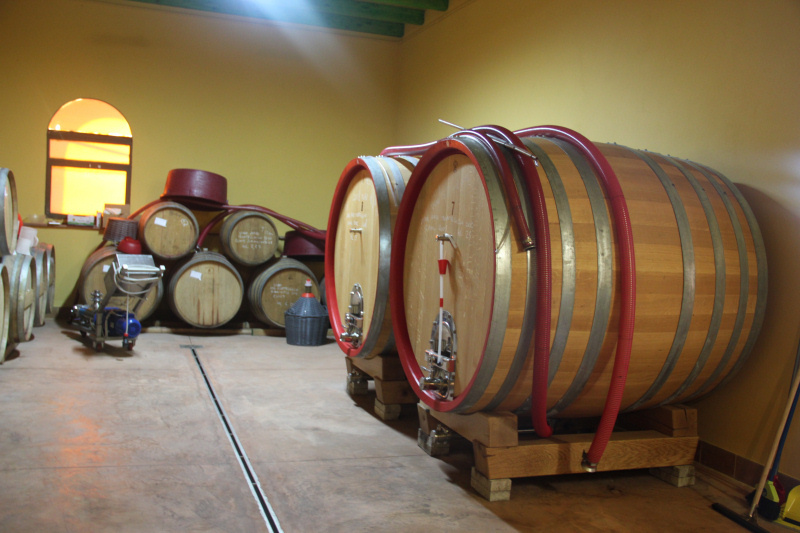 Moreover, during the fermentation people intervene “mechanically” by manually stirring the wine (rimontaggi, delestage etc). Sulfuric substances are only used at the initial stage of fermentation and are kept at a minimum level. 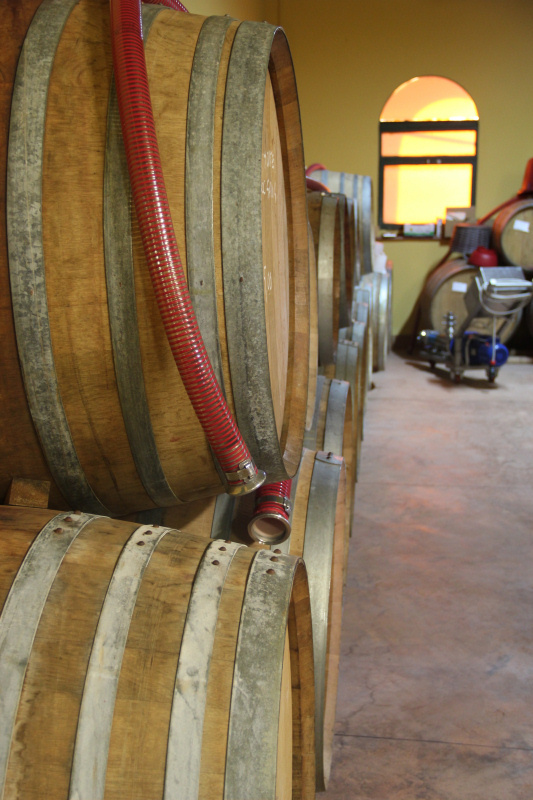 When the wine allows for it, the fermentation goes on without the addition of any sulfur at all. 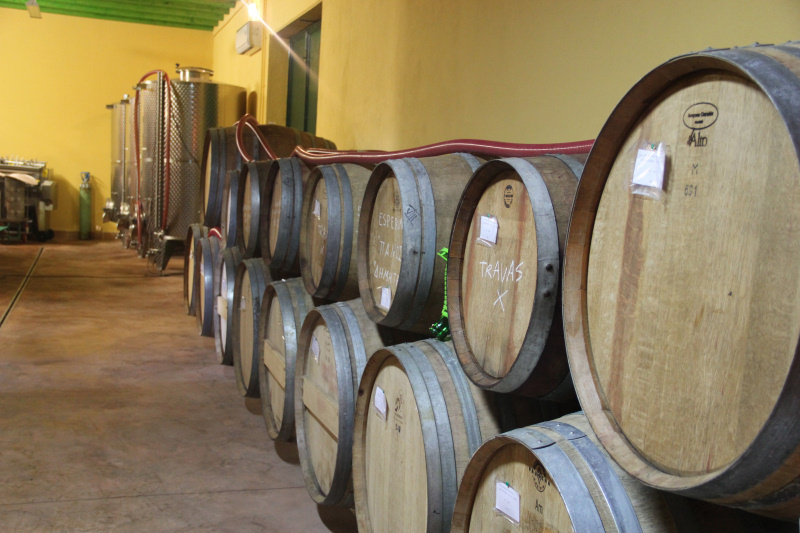 Before, the wine is bottled it must have remained in wooden barrels of various sizes for a period of 2 to 3 years. The entire procedure at the winemakery evolves in accordance to the calendar and the periodic moon cycle. 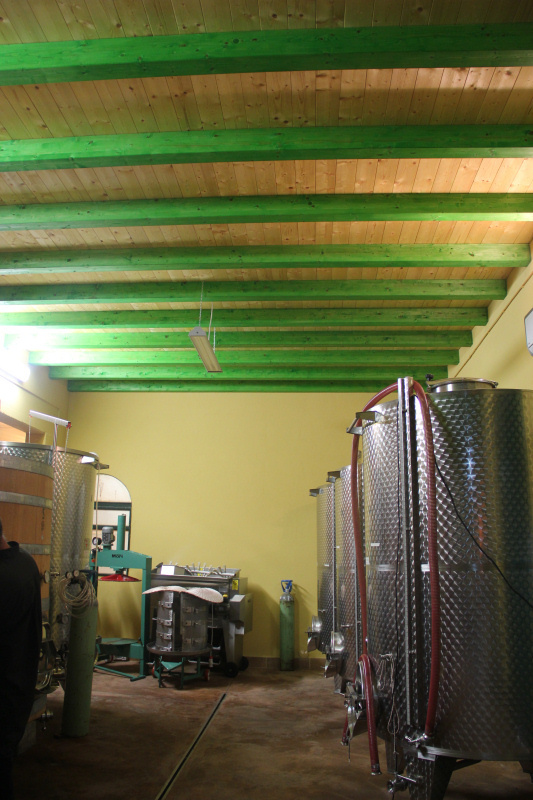 The wine is bottled with a relatively low sulfur degree and does not go through any filtration or cleansing at all. 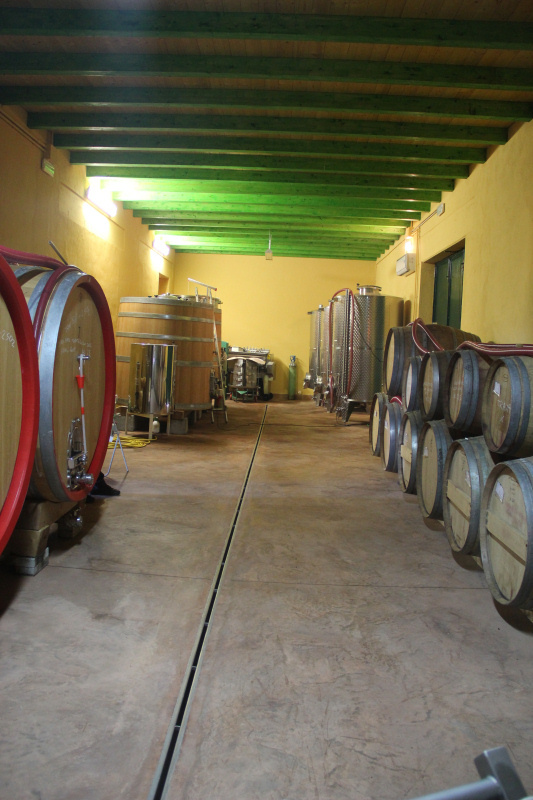 For both the vineyards and the olive tree plantation are applied biological agronomic practices. 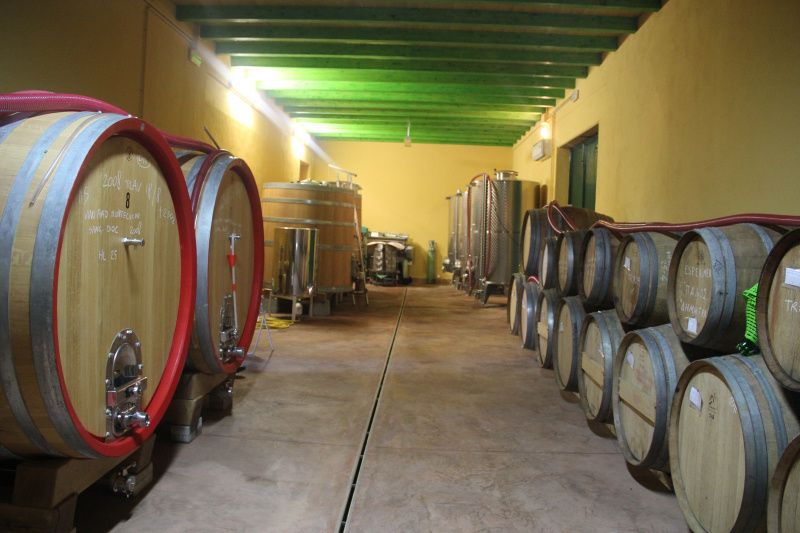 As a result, the entire SGA property and the winemakery are certificated by ICEA (Italian institution responsible for the certification of biological production).